What the Celebs Are Wearing! 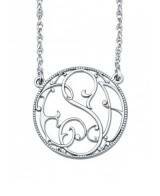 Monogrammed Jewelry as seen on many celebrities - we have all the great designers! From Hollywood models to music superstars, celebrities are sporting these from the beach to the Oscars. Miley Cyrus, Taylor Swift, and Sarah Jessica Parker love this jewelry, just to name a few. 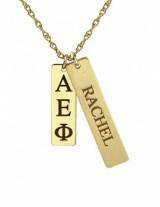 This monogrammed jewelry is the best of the best. 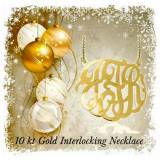 These pieces are offered in sterling silver, gold-filed, and 14 karat gold. If you have a special request, email me for a quote Quotes. See our newest addition with diamonds.